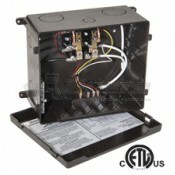 At Dyersonline.com we offer a variety of transfer switches to fit your needs. 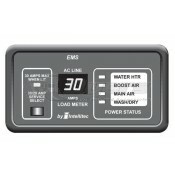 Transfer switches allow you to automatically switch between your RV’s onboard generator power and shore power provided by your campground. 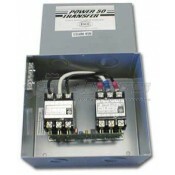 For maximum efficiency of your resources as well as ease of use; a transfer switch is essential. 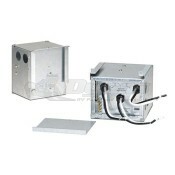 Dyers online offers a wide variety of transfer switches to fit any application. 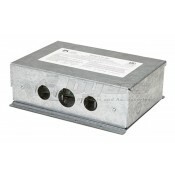 We have units that range from as little as 20amps all the way up to 100 amps of current. We offer transfer switches from such well-known brands as ESCO, Parallax Power Supply, Progressive Dynamics, TRC and WFCO. 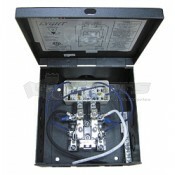 There are several types of transfer switches. The first is the basic transfer switch which simply monitors the power input and switches to a preset preferred power source when that power source is active. 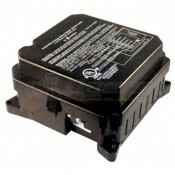 Otherwise the secondary power source will be used. 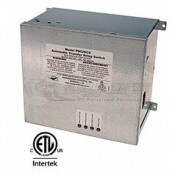 These models provide the least expensive option for your transfer switch needs. 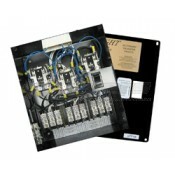 The next level of transfer switch is a transfer switch with surge protection. 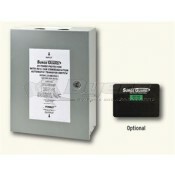 We offer several transfer switches from Surge Guard that offer surge protection. 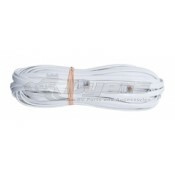 Based on the model these items can offer up to 3350 joules of surge protection. If you do not have another surge protection component in your power grid it is important to have a transfer switch with surge protection to ensure that all of the electronics in your RV are safe from any power surges generated from the campground power grid. The final and most advanced transfer switch is the transfer switch with load shedding. 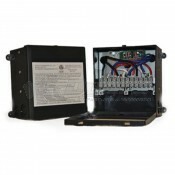 This type of transfer switch allows you to supply two 20 amp power rails from one 20 amp power rail. This design is useful in reducing power costs, or when your campground power cannot supply more than 20 amps. Load shedding allows you to assign a less important virtual 20-amp rail that will automatically shut down when the other 20-amp rail is in use. This design can be used for less essential devices such as the water heater. 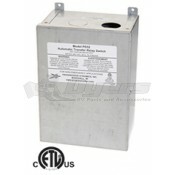 Lastly, we also offer a remote power monitor for the Surge Guard transfer switch. 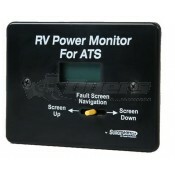 The remote power monitor allows you to see how much power is being supplied from the shore line as well as your RV’s generator and to see if there are any issues with either power source.